Congenital heart defects are the most common type of birth disorders in the United States, affecting nearly 1 percent of the annual births in the country, according to the Centers for Disease Control and Prevention. About 40,000 babies are born with congenital heart disease annually; about a third of them will need surgery or other types of medical treatment during their initial weeks or months of life. 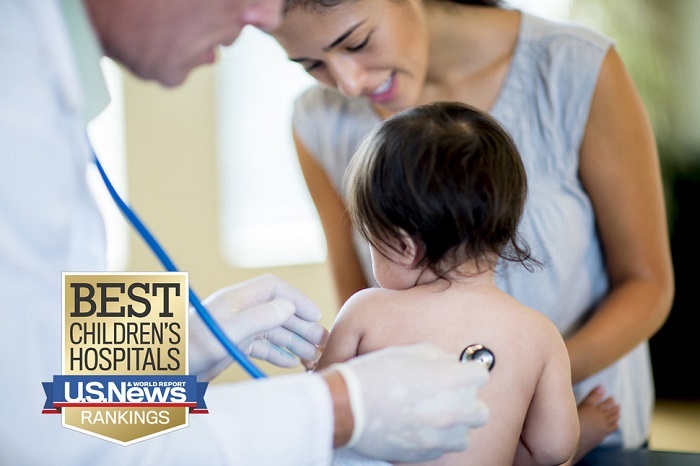 About 25 percent of infants born with a congenital heart defect will have a critical condition, meaning they will need surgery or other procedures during their first year of life, according to the CDC. Advances in treatments have improved the survival rate of babies born with critical heart defects, says Dr. Andrew Van Bergen, director of pediatric cardiac critical care at Advocate Children's Hospital in Oak Lawn, Illinois. "The entire landscape within the field of pediatric cardiology has changed over the past decades, as there is increased survival with contemporary advances," Van Bergen says. "These advances include fetal diagnosis and interventions and improved neonatal surgeries for complex congenital heart disease." There have also been improvements in the post-op management of children with congenital heart defects and in interventions as they grow and develop. More than 90 percent of infants born with a congenital heart defect live into adulthood in the current era, Van Bergen says. 1. Ventricular septal defect. Ventricular septal defect occurs in 2 to 7 percent of all live births and accounts for about 20 percent of all congenital heart defects, according to the American Heart Association. It's the most common congenital heart defect among newborns, according to the American Heart Association. VSDs are small- to large-sized holes between the lower chambers of the heart. They're typically diagnosed due to the presence of a heart murmur (an additional sound heard when listening to the heart with a stethoscope). Many infants and children with VSD are otherwise asymptomatic. The larger the hole is, the greater the chance that the infant will develop congestive heart failure from excessive blood flow crossing the hole from the left ventricle back into the lungs, essentially flooding the lungs. Infants with large VSDs typically breathe fast, have high heart rates, sweat all the time (even while resting) and have difficulty gaining weight. Treatment. Initially, doctors conservatively monitor babies with VSDs to see how the hole or holes affect the infant over time. If the child develops heart failure, physicians conduct surgery to close the hole or holes. This usually occurs within the first four to six months of life for larger holes. Surgeons typically close such holes with a patch sewn into the right ventricular side of the heart muscle. The prognosis for infants with simple VSDs is very good, Van Bergen says. Babies typically stay in the hospital for a VSD closure for one to three days. The need for additional treatment is uncommon. 2. Atrial septal defect. Atrial septal defect is another common congenital heart defect. This condition is an abnormal hole between the upper two chambers of the heart, in the area known as the atria. There are four kinds of ASD holes, depending on their position along the septum – the wall that separates the two sides of the heart. In most cases, infants with ASDs are asymptomatic. Treatment. If the hole persists into childhood and doesn't close spontaneously, as happens with about 80 percent of ASD holes, the typical treatment for the most common kind of ASD, secundum ASD, involves an interventional cardiac catheterization, says Dr. Emile A. Bacha, director of congenital and pediatric cardiac surgery at New York-Presbyterian Morgan Stanley-Komansky Children's Hospital in New York City. This closes the hole using a device introduced through a large vein in the groin and deployed in the heart. It doesn't require open-heart surgery, and children who undergo this procedure typically spend one night in the hospital. The other three types of ASDs – primum ASD, sinus venosus ASD and coronary sinus ASD – do require surgery. In most cases, the surgery is a one-time intervention, and no further surgeries are needed, Van Bergen says. 3. Tetralogy of Fallot. Tetralogy of Fallot, or TOF, is a relatively common heart abnormality that physicians typically diagnose during the fetal period or soon after the infant is born, Van Bergen says. The hallmark feature of TOF is an abnormal position or orientation of the ventricular septum, with a hole present between the two lower heart chambers. The aortic valve overrides this hole instead of coming directly out of the left ventricular outflow tract; consequently, the blood flow coming out of the right ventricle is obstructed, Van Bergen says. This causes a thickening of the heart muscle in the right ventricle. The severity of the defect and the need for early intervention depends on the degree of the obstruction of blood going to the lungs. All cases of TOF require surgical repair; the only difference is timing, Bacha says. In most cases treated in the United States and the rest of the developed world, surgery is conducted when the infant is about six months old, he says. Treatment. Infants with TOF must have surgery at some point. In extreme cases in early infancy, during the child's first weeks of life, if the degree of obstruction is high and oxygen levels to the heart are low, an intervention is needed. Options for this age group include a cardiac catheterization procedure that involves placing a stent in the right ventricular outflow tract as a temporary solution. This eliminates or decreases the area of obstruction. Other babies may be treated with a procedure in which a tube is surgically placed between the aorta and the right pulmonary artery. This allows the blood from the aorta to go back to the lungs to get replenished with oxygen since not enough blood flow was getting into the lungs through the narrow pulmonary artery, Van Bergen says. TOF patients need to be followed long term, as they often require additional intervention, mostly involving pulmonary valve replacements. 4. Single ventricle defects. This condition is characterized by a wide variety of congenital anomalies that typically result in the patient having only one functional ventricle or "pumping chamber" instead of two, says Dr. D. Byron Holt, chief of cardiology at Dell Children's Medical Center of Central Texas in Austin. Infants with this condition typically have lower than normal oxygen levels that cause a bluish discoloration of the skin, or cyanosis. Treatment. All children with this condition will require a series of surgeries to ultimately reroute deoxygenated blood directly to the lungs. Thanks to improvements in treatments over the last 20 years or so, the long-term prognosis of patients with this condition has drastically improved, Holt says. This condition once had an early mortality rate of nearly 100 percent, but today more than 85 percent of infants with single ventricle defects live through kindergarten and beyond, he says. "The current thought process is that most patients with single ventricles will ultimately need mechanical assistance for their heart muscle or a transplant at some point in their life," Holt says. "The goal has been to extend that timing as much as possible." 5. Pulmonary valve stenosis. This class of heart defect represents any form of obstruction to blood flow going from the right ventricle to the lungs. In some cases, the obstruction is present in the pulmonary valve itself, either from an abnormally small structure or due to the fusion of one or two of the valve leaflets, which are flaps that allow blood to flow forward and close to prevent blood from flowing backward. The level of obstruction may be below or above the valve. Typically, infants with this congenital heart defect have a murmur that helps physicians provide a diagnosis, often with the use of an echocardiogram. However, some patients are asymptomatic. If the degree of obstruction increases, it could overload the right side of the heart with pressure, causing the ventricular muscle to work harder and become abnormally thickened, Van Bergen says. Treatment. Intervention depends on the location of the obstruction and its severity, according to Van Bergen. This condition is often treated with balloon angioplasty procedures. When the narrowing is above or below the valve, surgery is typically needed at some point. 6. Patent ductus arteriosus. Patent ductus arteriosus, or PDA, is a persistent connection between the aortic arch – the part of the main artery that bends between the ascending and descending aorta, creating an arch – and the pulmonary artery in the fetus. PDA is a fairly common congenital heart defect, Bacha says. In the womb, this connection diverts blood away from the lungs and serves as a source of oxygen to the fetus. This connection will often close or start to close with a baby's first breath, as higher oxygen levels (which are achieved by using the lungs) are a signal for it to close. In some children, this connection does not fully close and can cause excess blood flow to the lungs. Over time, this can damage the lung arteries causing sometimes irreversible changes if not closed. Younger, premature babies in particular are very sensitive to this increased flow and often times are not able to breathe independently on their own. Some PDAs are considered "silent," causing effects that require intervention. Treatment. Cardiologists have a wide array of options to treat symptomatic PDAs. These include medications, such as special forms of IV ibuprofen and acetaminophen, cardiac surgery, which typically involves an incision between the ribs on the left side of the back, and minimally invasive catheterization procedures. 7. Dextro-transposition of the great arteries. This complex congenital heart disease comprises about 10 percent of all congenital heart conditions, Bacha says. It's characterized by the switching in position of the two main arteries that leave the heart and carry blood to the lungs and the rest of the body, says Dr. Jeffrey Moore, a cardiologist at ProMedica Physicians Pediatric Cardiology in Toledo, Ohio. This misplacement compromises the flow of blood to the heart and the rest of the body. Babies with this condition are notably blue in appearance due to low oxygen levels being delivered to the body. Typically, oxygen levels in infants who are born without a congenital defect are close to 100 percent after the first few hours of life. Infants with this condition often have oxygen levels between 70 to 85 percent during their first 24 hours of life. Treatment. This condition requires surgery, typically within the first week of life, Moore says. "The surgery is called an arterial switch operation and as its name suggests, it involves literally switching the two great vessels back into their appropriate anatomic position," he says. After surgery, patients have essentially normal cardiac anatomy and function compared to other newborns, with oxygen levels close to 100 percent. 8. Aortic valve stenosis. Congenital aortic valve stenosis typically develops during the mother's first eight weeks of pregnancy, according to Children's National Health System. This heart defect involves the aortic valve, which is one of the four major valves within the heart. It's the final exit for oxygenated blood leaving the heart from the left ventricle to the rest of the body. The valve typically has three leaflets, or flaps, that open or close. In babies with aortic valve stenosis, the valve may be too small or some of its leaflets may be fused together. This decrease in size can cause obstruction to blood flow leaving the heart, causing increased stress on the left ventricular pumping chamber, Moore says. Such increased pressure causes the muscle to become thickened, which isn't good for a heart over time. In addition, there is often leakiness of the valve due to the stiffer leaflets not coming together well. A leaky valve can cause the heart to dilate or enlarge, which is unhealthy for the heart. Treatment. The kind of intervention depends on the patient and the results of an echocardiogram, Moore says. If the problem is fusion of the valve leaflets, it's often possible to perform an interventional cardiac catheterization and use a balloon attached to a catheter that is threaded through the valve and gently ballooned open, causing a controlled tear of the valve leaflets. Surgical options may be required if the valve narrowing cannot be fixed by catheterization, if the valve significantly leaks or if there is dilation of the aorta above the valve.